As an Olympic hopeful, he came to America from the Virgin Islands, in 1979, fought his way up through the streets of Passaic, New Jersey, and brought the image of the Rastafarian – a faith developed in Jamaica in the 1930s – into America’s living room. That introduction included his crazy world of snakes, dogs, and voodoo. 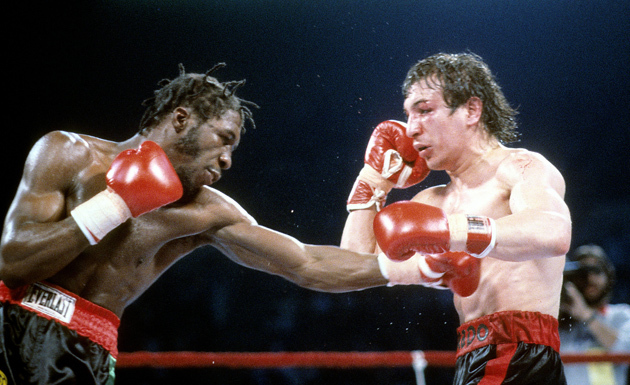 He became a successful world champion, robbing the show away from a boxer who was arguably the most popular in the world – Ray “Boom Boom” Mancini. Outside the ring, his antics seemed over-the-top. He sparred in lavender ballet tights, shadow boxed to Bob Marley and the Wailers, and took jazz classes at the Broadway Dance Center in Manhattan. He had sartorial splendor in his ring trunk selections, whether sporting the colors of the Jamaican flag or a pink robe. He extolled the virtues of marijuana. Hastily, however, his career burned and disintegrated and he retreated from the spotlight – to an insular world of his own opting. In this entertaining, provocative biography, Brian D’Ambrosio deftly covers the saga of one of the most enigmatic figures in recent sporting life and tracks down the self-proclaimed “sole Rasta prizefighter” in the most unlikeliest of places.